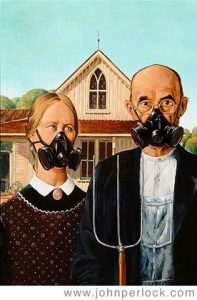 Editors Note: Another article from R Ann Parris to The Prepper Journal. As always, if you have information for Preppers that you would like to share and be entered into the Prepper Writing Contest with a chance to win one of three Amazon Gift Cards with the top prize being a $300 card to purchase your own prepping supplies, then enter today! Weather proofing applies to a lot of our lives, from backpacking to maintaining our homes for increasing efficiency. Our gardens are no different. Weather-proofing our gardens is getting harder and harder these days, though. There are cycles we can (and should) track. Location by location, if we have a year of drought, we real commonly expect that it’ll be followed by a wet and-or cool spring if not a milder and wetter season entirely. For others, it flips, and we expect a heavy-rain year or mild, cool growing season to be followed by a hot, dry year. Then we look for a return to norm for a while. Problem is, there’s some adherence to generations of 7, 12, and 30-year cycles, but our weather is becoming schitzo. The norms seem fewer while the outliers seem increasingly frequent and extreme. I don’t care who/what we want to blame. Vehicle and factory emissions, or Nibiru/X being close enough to distort the magnetosphere. Accidental byproduct of scientists playing with particle accelerators, or governments/secret societies using contrails to warp the biosphere. I’m willing to call it “Global Weirding”, but that’s all. Angry mages, aliens, normal earth cycles, dragons, methane from cattle lots, Second Coming, pole shifts, deforestation, or hateful gods – it just doesn’t matter. I don’t care, because I can’t fix the root cause(s). All I can do is weather-proof our food production as much as possible. 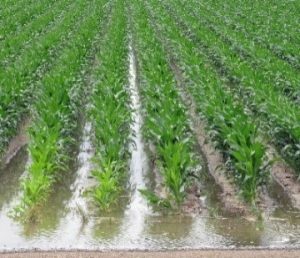 One way to insure ourselves against extreme and oddball weather is to start with crops that can withstand more than our normal/past averages. There are a few ways to do that. 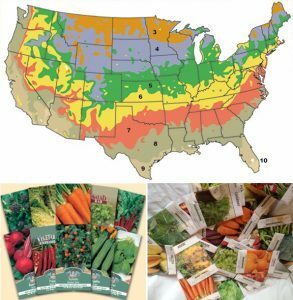 Pad Zones – Avoid seed or plants where our USDA hardiness zone is one of the high- or low-end brackets. 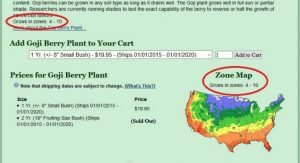 One, those maps may not accurately affect our averages anymore (https://www.arborday.org/media/map_change.cfm, https://planthardiness.ars.usda.gov/PHZMWeb/AboutWhatsNew.aspx). Two, it leaves little leeway. We want an extra zone (or two) to either side. If I’m Zone 7, a plant for Zones 4-7 should work, but I’d rather have one rated 4-8. If I’m Zone 6, the first gives me a buffer, but the second option pads it further, leaving more room for the weather to go schitzo without hurting my plants. Apply that to the cold-side limit, too. Perennials typically have that information listed (somewhere). It’s rarely on annual veggie seeds. Some catalogs/suppliers include it, but many only give us very general planting dates. However, many county extension services provide lists of locally proven winners for home gardens and dryland production systems. We can also use suppliers who offer regional-specific filters or folks like John at Sherck Seeds (Indiana) or Telsing at Aster Lane Edibles (Ontario) who are dedicated to breeding and producing seed for a specific area (they’ll sell outside it, though). They’re out there, big and small. 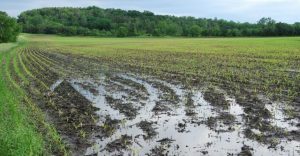 Flood-Drought Tolerance – Some crops will handle being saturated for a while, and some perennials especially can handle repeated flood-drought conditions. Some … not so much. 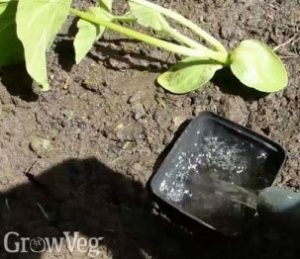 We expect seeds, starts, and young transplants to need some irrigation, but especially for perennials, summer crops, and long-growing-season crops, try to find the water-wise varieties. That’s big now, but will be bigger in a disaster. 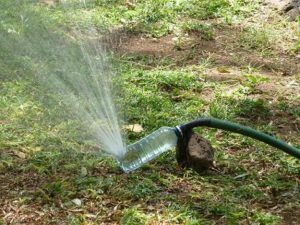 In drought years, we block winds, deliver water as close to roots as possible, and erect shade. 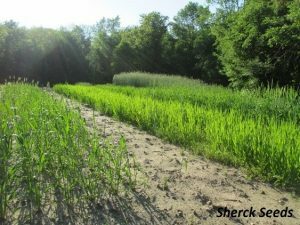 Ollas – which see use even in large-plot fields in drought-stricken nations – and other root-zone waterers can be hugely effective. 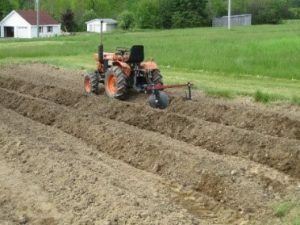 Creating packed-earth, mulch-filled furrows for beds and trenching/grooving seed rows can lessen runoff and increase infiltration while still letting us water quickly. 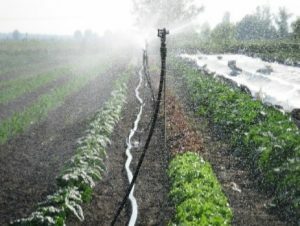 In wet years, especially if it’s warm, limit ground-hugging crops (but stick to ground-hugging companion covers like Dutch clovers), thin and prune crops, and dial back planting densities to encourage airflow. Deep, exaggerated hilling increases drainage, giving plant roots breathing room. Deep hilling also reduces the effects of cold-cool water. We can erect angled transpiration catchment to help combat droughts. Very similar can help divert rain from small beds in wet years. We may also want to stock something that will let us cover the tops of insect-pollinated plants – keeping the pollen in flowers dry enough for them to transfer. 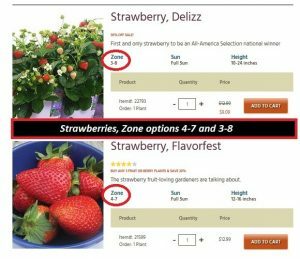 Situational Weaklings – Many reputable suppliers will include extra information we can use to narrow our choices. Especially if I’m on a perennial plant’s hardiness verge, I’m likely to skip varieties with one-off harvests if there are notes about survival or yield issues in regular weather conditions. *Check tree’s cross-pollination partners for the same. Diversified Portfolio – Just like any investment, diversifying our plantings, both crop type and specific varieties, minimizes our losses if one fails. 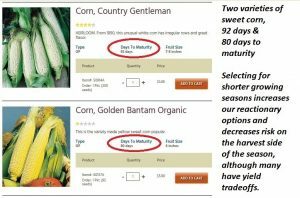 Include Short-Season Varieties – It’s hard to predict a way-too-early frost or freeze, but stocking and allotting some of our growing space to shorter-season bantam or compact crops from the get-go every year can minimize losses. 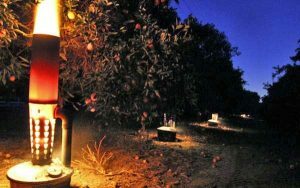 There’s regularly a yield tradeoff, but because they’re ready earlier, it’s a way to increase the odds that we harvest something rather than face total failure from late-summer and autumn storms, frosts, and freezes. *Depending on why a crop was lost, if we have livestock, it may not be a total loss. Especially if they’re not yet fruiting or are early in development, many crops are viable for silage. It can be the difference between a hard hit and a knockout. Fast-maturing seed stock also hedges against early-season losses. They give us time to get a second crop planted and harvested after a problem. That can be late wetness, frosts, and freezes, insects, low germination due to dryness, poor/wrecked seed, or human-labor delays (injury, illness, tools, absence/travel). Some of these are pretty common, but maybe don’t get applied as often as they could – especially the cold-buffering types. 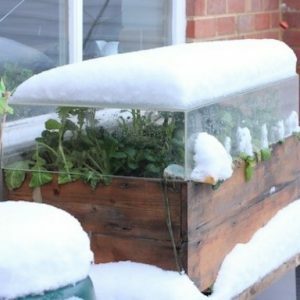 I cover heat-buffering and droughts in this article http://www.theprepperjournal.com/2016/08/10/gardening-during-disasters/, so I’m going to mostly look at cool-cold issues here. Misting – This is the exception. 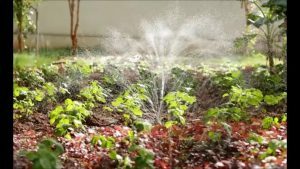 Overhead irrigation is the devil, but the evaporative cooling can be a heat-wave lifesaver for crops like carrots, beets, and turnips. It’s mostly used commercially for lettuces and radishes. From the homestead/prepper/sustenance perspective, though, I can “afford” to let those bolt. 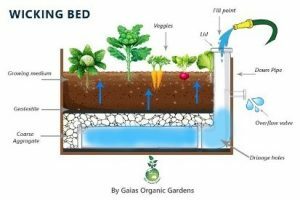 I want to save the energy and water for crops that take 6 weeks at best and regularly 8-16, and those with special seed-saving factors. I’m also only going to do it for a short time. 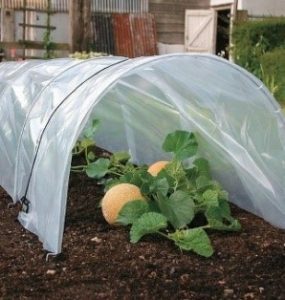 Misting is also a freeze protector. 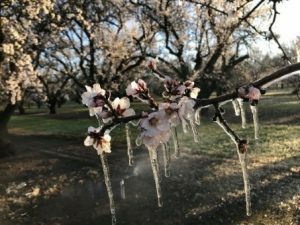 We repeatedly coat our tree fruit and buds as temperatures drop. As the ice builds up on the outer layer, it creates insulation. 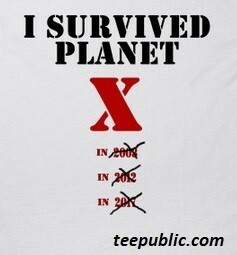 It can and has saved crops and careers. Row Covers – I’m defining two types of covers. 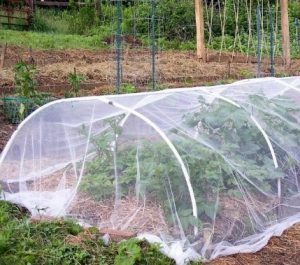 First, low row covers and hoops, versus high/tall hoops and greenhouses. Second, plastic versus not. Consider glass panes in the plastic category. Floating row cover (FRC, cloth) and mesh or net are the “nots”. The low options are most common, large or small scale. For most of my year, plastic is too hot and on seasonal verges it’s twice-daily opening and closing to avoid cooking my plants. 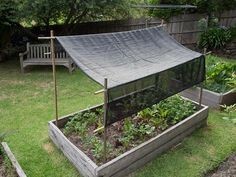 I prefer white mesh netting, traditionally used for pest control (https://hortnews.extension.iastate.edu/2011/2-9/rowcover.html, https://www.rhs.org.uk/advice/profile?PID=923). I can keep mesh on year-round if I need/want. 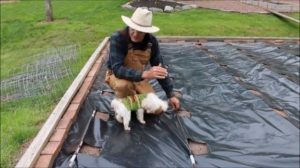 It’s rain permeable but catches some transpiration, curtails birds and squirrels (and acorns), withstands more roughness than FRC/cloth, lasts longer, washes easily, and dries fast. It cuts some of the blasting 90+ summertime rays but frosts usually seal off the mesh, creating much the same effect as plastic. 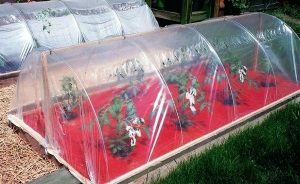 My plastic comes out to protect less-hardy lettuces and overwintering crops. 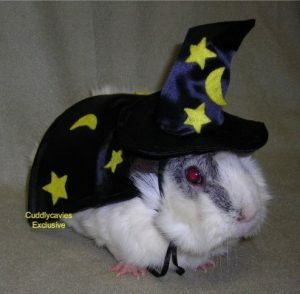 However, it also comes out to buy my squash and tubers a little more time, and it gains super-star status come spring. See, I have almost no time for longer-growing spring crops; there’s not enough “cool” season anymore. 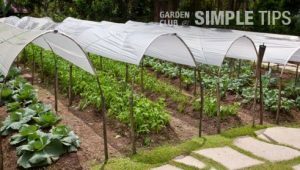 However, I can buy “spring” time for those at the end of winter by laying out dark cloth or plastic groundcover and a row cover. It warms my soil enough for an extra 4-6 weeks at the start of the season. I developed my baselines just testing, but modern technology can narrow the guesswork window. 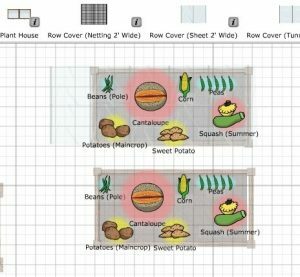 Grab a free trial for one of the online garden planners that offers us row cover options – ideally, both net (mesh/cloth) and plastic. Set it up so our crop possibilities are duplicated. (It doesn’t have to be pretty; we’re not keeping that part). We’re going to have an open-air set and other sets covered with their row cover options – one with mesh and one in plastic. *Some programs refuse to give me separate dates for things like corn and yams using row covers, although I rock-solid, for-a-fact know I can extend their season, especially in well-elevated beds and mounds. I tell it they’re getting an unheated hoop house. Only fudge that if you’re going to check soil temps before planting. 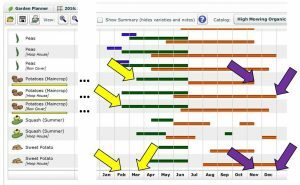 When we go to the “plant list” or “dates” page, we’ll see the planting- and harvest-date differences between those open-air, mesh/net or cloth, and plastic-covers sets. Print/pdf that. Those programs can also help narrow down when it’s safe to start transplants in unheated cold frames or greenhouses. 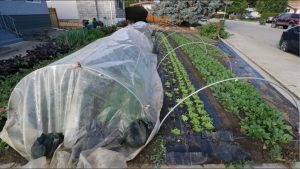 Preventing Cold Damage – The ground covers I use to cheat soil temps for early planting also work on their own in open air, although without hoops, late freezes can damage and kill above-ground plants. 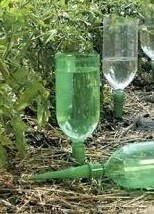 Black-painted or -covered bottles and jars filled with water can help without covers, too, grouped around plants to absorb daily warmth. They release warmth and insulate as temperatures drop. 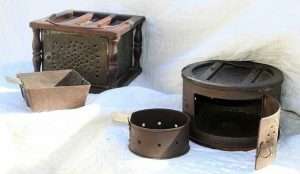 If serious cold unexpectedly threatens crops, we can use cast-iron skillets, pairs of large and small cans and jars, mini arctic stoves, DIY heaters, old-school bed/foot warmers, and mini smudge pots (incense, citronella) to save them. 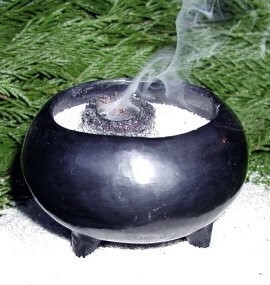 One method is applying established orchard smudge pot practices to the micro scale. Downside: Miniaturized, it really only works when partnered with row covers. We have to be really careful what we choose to incorporate with covers, and avoid ash, gust-blown open flame, or heat columns melting holes or starting fires. 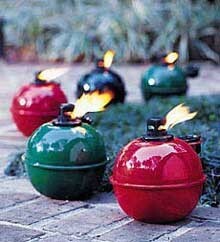 Do not, ever, light these things and leave for work or bed, especially under row covers. We keep an eye on them. Nesting them in water will increase the effectiveness and duration of warmth. Water also offers an additional and safer option. 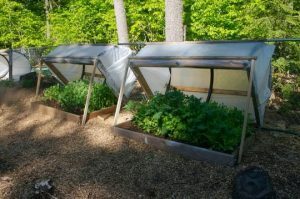 We can place buckets, Dutch ovens, and stock pots of just-boiled water under our covers and cold frames. Cart them out in a towel/blanket-lined cooler so they stay hotter. We have lots of challenges as growers these days. 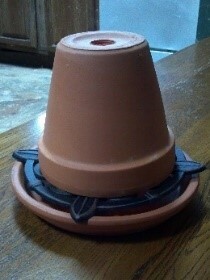 We also have lots of solutions, from our plant selection to low-tech assists. Having a variety of fixes stashed insures us against more things and extend or save our harvests, in normal years as well as oddballs. 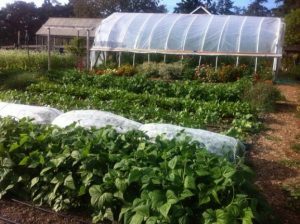 We can also look at alternative growing methods, cultivating wild edibles, and looking to other nations’ crops to increase resiliency. The post Weirding Weather – Proofing Our Production appeared first on The Prepper Journal.